NEW HYDROSENSE3 METER – We happy to announce the launch of our new HydroSense3 meter, which is a new upgraded version of our popular HydroSense product. It allows easy , instantaneous readings & storing of soil moisture measurements from a Skye Needle Sensor and septum tensiometers, as well as being able to be used with electronic tensiometers. The meter will store configurations for up to 25 different instruments, and store records of up to 100 readings and offload onto a P.C.. 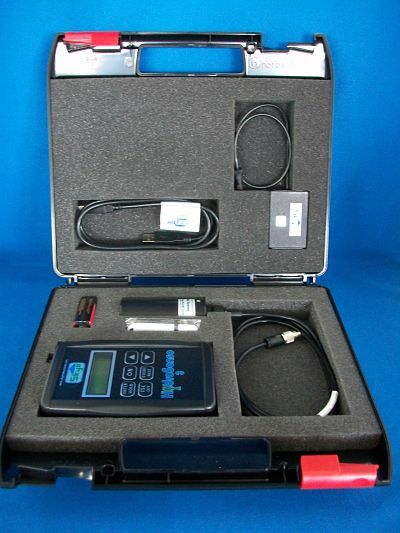 The meter can also be a useful addition to a DataHog datalogging package of Skye standard and/or mini electronic tensiometers, as the meter can be used as a quick ‘soil moisture’ check. 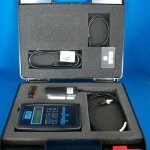 The HydroSense 3 is also compatible with soil moisture products from other Companies. The HydroSense 3 has a clear display (LCD) over two lines making it easy to see the reading, as well as the units. Functions include the ability to hold the display, and a dual scale options for each tensiometer (e.g. a reading from a tensiometer can be scaled in hPa and mbar). A simple press of a button stores a reading to the internal memory, allowing for easy data offload via a cable and our PC software. Please get in touch to if you would like further technical information or if you have any questions on either of these new sensors.